First, in the earth as a seed, there is darkness and soil, it is safe and solid. To be a seed is to already have the desire within to grow and bloom and I knew this was coming. To grow roots would be to venture further into the earth and harness more support through softening our shell; this too is still familiar ground. Now to stem out of the earth is a feat for sure. To experience the air and sun in ways we hadn’t yet, more exposed than before, yet not fully open. Still protected, still safe. Maybe I’ll grow more roots and be satisfied with that. Maybe I will grow a longer stem and that will be enough. Maybe I will spend more time getting to know the ways of the wind and sun, water and life around me, watching and observing, maybe that’s all I’ll need. This moment, with equal passion and dread I’ve anticipated. Now, there is no turning back. I think I like that. And so, with much nourishment from all the elements and love around me, I let go. 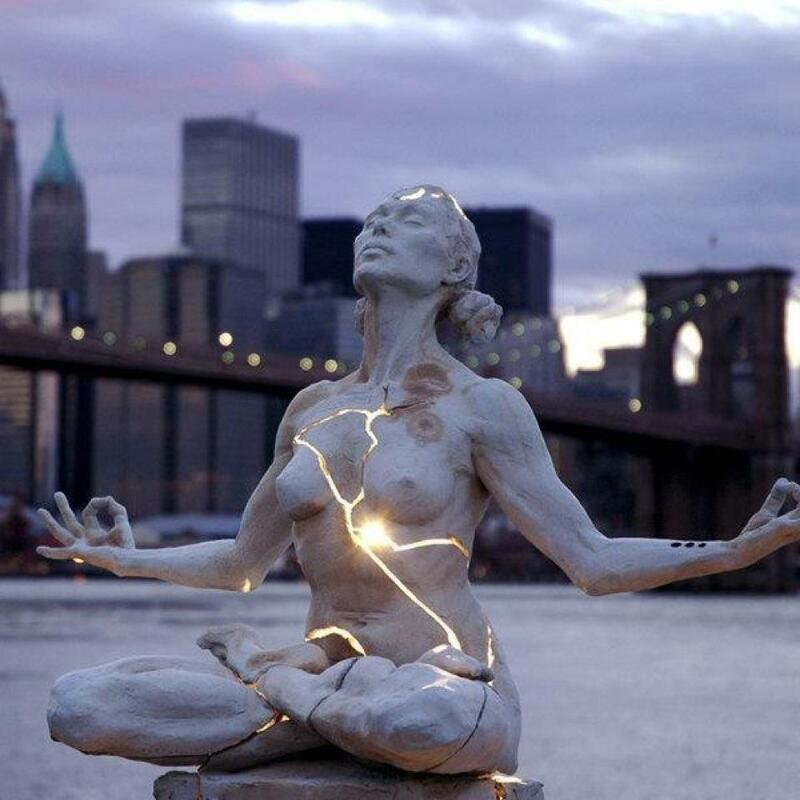 There is so much light that comes pouring in, and out even from the smallest crack. The moment when a bud makes its first cracks of opening, is a whole new world; finally to expose the soft tender petals that is at the heart of the flower; the seed of the soul. Our soft colourful petals are opening and exposing ever more. Evolving to be even more delicate than we once were, yet even more beautiful than ever. Therein lies our strength. We are unique flowers as we are forever blossoming, forever unfolding. I feel like once we do so and realize how exhilarating it is to open up to the fullness of who we are, we will be grateful that it is our nature and joy; to live and grow and share our colour with the world, for the sake of being alive. Showcased at Union Station there are photographs with commentary called, “Aging”; aging in society today and how older adults are treated and active in mostly Canadian culture. I had also been thinking more about aging for myself, and for my family members. The commentary is touching, informative with a few surprising pieces of information. You’ll have to click on the picture for the short write-up. They touch on the joys of love, service, art, physical fitness, family and community and struggles of aging in general from health, to independence, to aging in Canada, as a Canadian War Vet, or as a newcomer older adult to Canada, and also on an older adult tradition in an Inuit culture. I feel it is important to our health and wellbeing to open up to our feelings about aging and engage more often in conversation about the different stages of life, more specifically with older age. What are your feelings on what it means to live life in your 70’s, 80’s, 90’s…What do you expect? What do you hope? What do you fear? What is your relationship to aging? Sometimes I hear people speak of older adults as though they were a different species and it bothers me. Sometimes I hear younger adults speak of older adults as though us younger adults know what it’s all about. Too often young adults speak in a patronizing or condescending way as though we are were never going to be 90, like that is not us, or our potential; where the word, ‘they’ is used like there isn’t a child version of yourself inside of you, nor an older woman or man within. ‘They’, like they are nothing like you. I hope to be an older adult one day. I have also been exploring my feelings on death and dying. I have completed Hospice Volunteer Training for Complimentary Therapy work (Reiki) for end of life patients who are terminal. I learned more on the process of death for the dying and also for their family and loved ones. Spending time with people in this stage of life has been a gift; being part of someone’s intimate, vulnerable and strong moments. It is bringing more meaning and depth to my life experience and to my personal relationship with death and how I live. I know a number of you have been more recently affected by aging or death in your family, and the changes that occur inside yourselves and within your family dynamic. What is your relationship with death? I believe part of the hush-hush or tentativeness or flat-out fear of exploring our relationship to aging is because it makes us feel into deaths of different kinds and most definitely into a space of unknowns. I hope a conversation and exploration of the later stages of life and of death is enriching and helpful for you in some way as it has so far been meaningful for me. I have fears of what I will feel or look like what I will or won’t be able to do. I have hopes of a healthy, active, rich, happy and meaningful life at every age for myself and everyone. I feel it is important to explore our relationship to aging and to death, if not for yourself, then for others who need your understanding and empathy.